Mere days after Microsoft was forced to slash the price of the Surface RT by $150 in an attempt to move more of the moribund tablets, Windows RT has received yet another no-confidence vote: Asus, whose VivoTab RT (pictured above) was one of the first Windows RT slates out the door, plans to pull back from the mobile-focused platform. Asus Chairman Jonney Shih hinted at the possibility in an interview with PCWorld last week, saying that "Our direction is more toward x86 plus the [Windows] 8.1 approach." But Tuesday, AllThingsD reported that Asus plans to slam the brakes on its Windows RT support. The company could decide to release another Windows RT slate in the future, but for now, Shih says the company's entire focus is on Windows 8 and Intel chips. "The result is not very promising," Shih said of Asus' Windows RT endeavors. And Asus is far from the only manufacturer to turn its back on Windows RT. Microsoft's Surface RT is one of the few Windows RT tablets left, and it isn't selling well either. HP and Toshiba pulled back from the operating system before it even launched, as has Acer, which is taking a "wait and see" approach to the OS. Samsung created an early Windows RT tablet, but failed to release it in the U.S. after slamming Microsoft's efforts to educate American consumers about the OS. 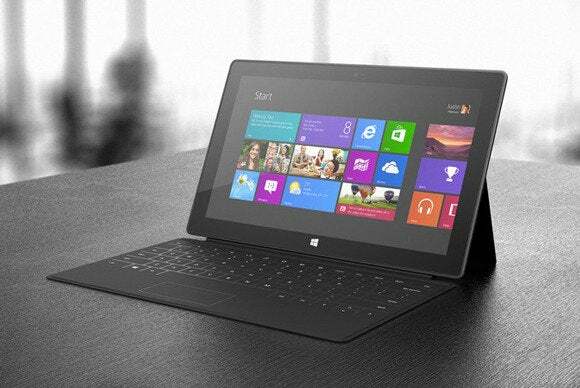 Dell, Asus, and Lenovo were the only third-party manufactures to release Windows RT tablets Stateside—and, like Asus, Lenovo recently pulled the plug on its own Windows RT tablet, the IdeaPad Yoga 11. Browsing through the tablets and convertibles section of Microsoft's online store fails to turn up a single Windows RT tablet not dubbed Surface, though Dell's RT-powered XPS 10 slate is still available on Dell.com for $300 and up. The Windows Store simply doesn't offer enough useful apps and the shift to the modern UI can be difficult for consumers, Shih told PCWorld. He did say Microsoft is actively working on both problems, though he also admitted to rarely using modern-style apps on his notebook. "Frankly speaking, I spend less time in Metro and more time in the desktop, mostly for productivity," Shih said. He said he uses modern-style apps more on tablets, however. But that's the thing about Windows RT tablets: They can only run modern-style apps. No matter how you shake it, manufacturers are fleeing Windows RT like rats from a sinking ship. The mass exodus sounds like an unmitigated disaster—and in its current form, Windows RT certainly is—but Microsoft should take heart: In the long run, an absence of hardware may be exactly what Windows RT needs to thrive.